Now Know the EPFO Claim Status via Online, Search your PF Claim Status by using UAN Number, How to know PF Status via SMS….. Some of the employer’s have a doubt for knowing the Provident Fund PF Claim Status. An employee can transfer the amount from old account to new epf account through online/ by using UAN number, this process called as PF Transfer/ epf claim. We have provided some steps for easy to know the EPFO Claim Status. 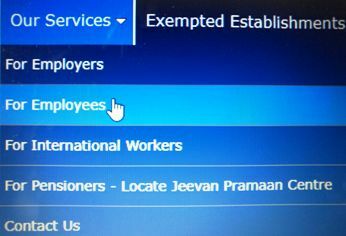 Already there lot of EPF Online Facilities given by the EPFO. Follow the given steps and know your EPF Claim Status easily. Go to the EPF official website at efpindia.com, and select the EPF office where your account is maintained and furnish your PF Account number. Leave the extension field blank, in case your account does not have one. It will show the epfo claim status, take the print out for further use. 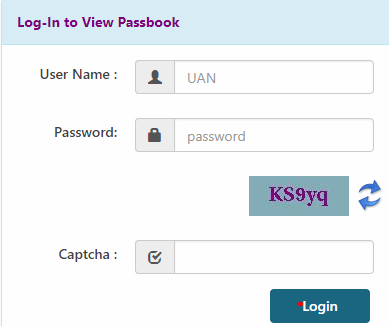 Using the UAN number employee can transfer/ manage all the PF accounts. And also the employee’s may transfer the balance amount from old account to new epf account. This is known as PF Transfer/ epf claim, withdrawal can also be termed as PF Claim but amount goes to the bank account instead of another pf account. If you registered the UAN Number with your EPFO account, you can get the details easily by making an sms EPFOHO UAN ENG to 7738299899. ENG means first three charactors of English language. You can also make, which language you want to receive in the message. (Example : If you want to Telugu, then type it is as EPFOHO UAN TEL). So, you can prefer which language you want like., English, Hindi, Punjabi, Gujarati, Marathi, Kannada, Telugu, Tamil, Malayalam and Bengali. Give a missed call on 011-22901406 from your registered mobile number, then you will get the details. EPFO Designed the EPFO M SEWA APP for Employees. You can also download this app through your play store/ app store and check your PF claim status by enter your details. But this app has a lot of bugs due to regular maintenance. Change of nominee is to be filled in the Form No.2 through the employer.